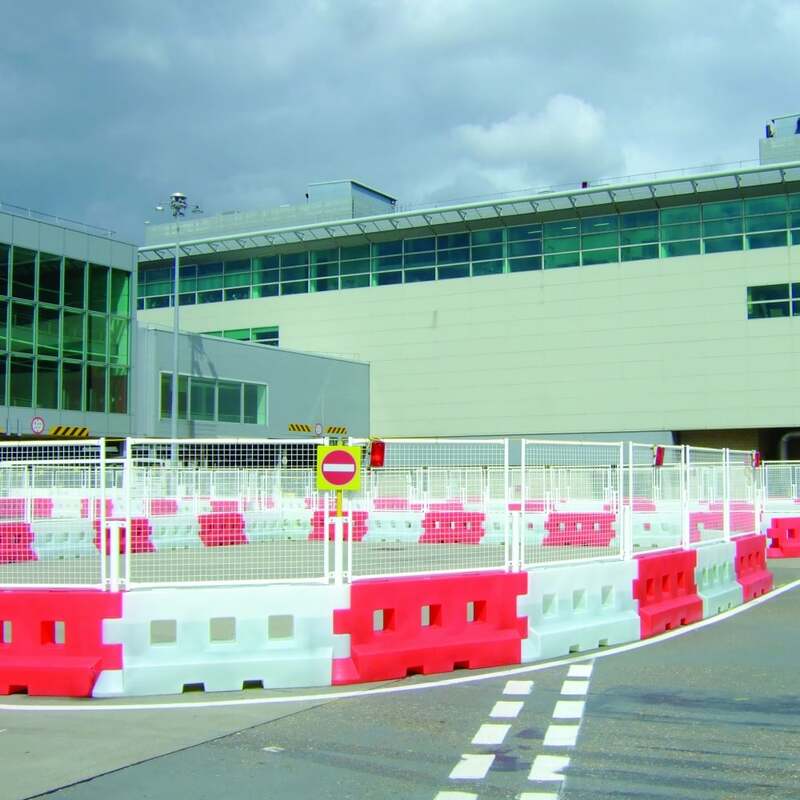 The GB2 Heavy Duty Barrier is a fully interlocking, water filled traffic demarcation barrier which is manufactured from UV stabilised prime polyethylene and suitable for low level containment such as highways. A pin locking device allows each barrier to have a 35 degree configuration allowing for angles and curves. The system can withstand wind loading of up to 78mph and is extremely robust.